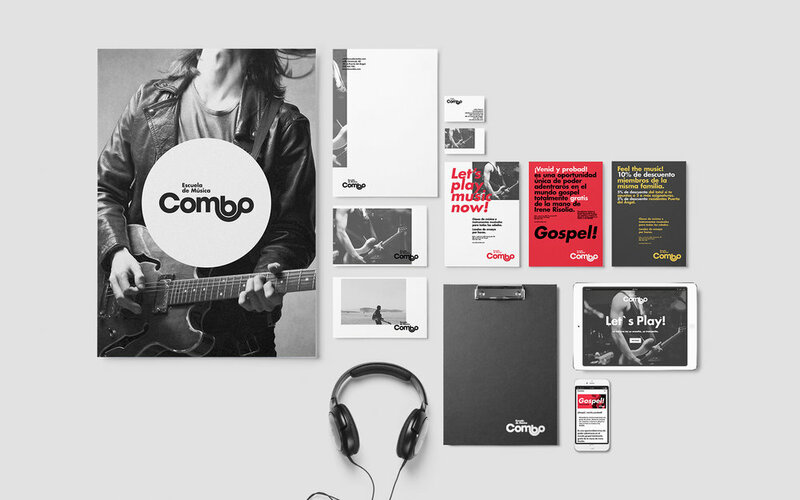 Combo, an expanding music school located in Madrid, combines a new identity along with a completely renovated look. The goal was to create an image with personality and equally versatile in order to combine all the musical disciplines the school teaching is composed of. With hints of the sixties that bring back memories of the “Motown” golden era. Brought to today´s esthetics and modifying the form of typography this generates play in the logo that inspires the joined together concept. Plain and intense colors put together with black and white images creating powerful messages and reaching out with intensity. Dynamic appearance with strong contrasts between forms and background that carry us back to the 60´s.